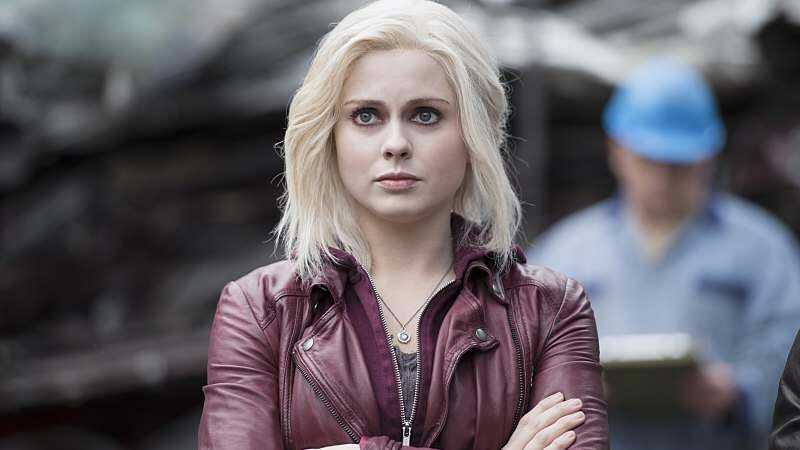 iZombie’s season finale promises an “unbelievable situation,” which, what? And how!? Here’s what’s up in the world of TV for Tuesday, June 9. All times are Eastern. iZombie (The CW, 9 p.m.): We’ve have had way, way more than our fair share of fun with this show, tweaking it for the inherent ridiculousness of its high-concept premise while paying lip service to the fact that, yeah, by all accounts, this is actually a really good show. We feel okay with this arrangement because—and here it really helps that we’re just raging narcissists—we’re pretty sure iZombie is getting its own back by messing with us in its episode description. (Yes, specifically us, the gestalt entity that writes What’s On Tonight. Again, just raging, raging narcissists.) To wit, the final part of the synopsis for tonight’s first season finale: “Major gets involved in an unbelievable situation.” An. Unbelievable. Situation. On the show with the zombie mortuary assistant who gets visions from the brains of murder victims and uses said visions to solve crimes, and also said zombie mortuary assistant’s actual name is “Liv Moore.” We can’t even begin to guess what would still count as unbelievable relative to that—some kind of super-intelligent unicorn mafia, maybe?—but we’re glad Carrie Raisler will be on the scene to find out. Younger (Nickelodeon/TV Land, 10 p.m.): This show also wraps up its first season, and apparently the whole web of lies is going to collapse in on Sutton Foster’s Liza, in a way that will surely be devastating but hopefully not completely destroy the show heading into a possible season two. Alexa Planje doesn’t ask for much, but at least one charming basic cable Sutton Foster vehicle making it to a second season is on her list. Finding Carter (MTV, 10 p.m.): At least Finding Carter is hanging around for another week, though this description sounds momentous enough for a finale: “Unveiled secrets threaten the bonds of sisterhood; Crash returns from military training; and Carter makes a decision about her future.” Not to besmirch the value of long-term planning, but Joshua Alston is pretty sure not a single person in television history has made a decision about his or her future without immediately encountering disaster. The original plan was to make boozehound Barney Gumble the shooter. Oakley and Weinstein thought jokes about the town drunk had grown stale; if Barney did it, he’d go to jail and not reappear for a few years. Sistershood Of Hip Hop (Oxygen, 9 p.m.): This T.I.-produced reality series about female rappers kicks off its second season, and apparently T-Pain is prominently involved. Also, somebody feels disrespected, which we frankly find very hard to believe, given how famously collegial and ego-free the world of hip-hop—music in general, actually—tends to be. Great Barrier Reef (Animal Planet, 9 p.m.): Well, this ought to be pretty. Royal Pains (USA, 10 p.m.): Hey, this is still on! We were… not aware of that fact. Honestly, we’re pretty sure we thought this was the one that starred Matthew Bomer, but that’s a whole other member of the USA quirky cool procedural stable, apparently. We try to learn at least one new thing every day, is what we’re saying. How To Be A Grown Up (TruTV, 10 p.m.): “Topics include: getting freaky; ending friendships; navigating religion; giving feedback; and facing mortality.” For our money, you aren’t really a grown up until you’ve done all those things at once. Then again, there probably is no quicker way to end a friendship than to interrupt coitus with a steady mix of constructive criticism, metaphysical debate, and gloomy pronouncements about the inevitability of death. Unless that’s what you and your special friend are into, in which case, have at it! Looper (FXM, 7 p.m./9:30 p.m.): On the one hand, this movie—which is playing twice tonight, an oddly appropriate programming choice given the content—is thought-provoking and heartbreaking and mind-bending in all the ways you’d want from a challenging sci-fi thriller. On the other hand, what happens to Seth is so horribly disturbing that we’re not sure we can ever sit through this movie again. So … we guess that’s a recommendation? The Lost World: Jurassic Park/Annie Hall (Syfy/TCM, 9 p.m./10 p.m.): Scholars can debate what precise moment of movie history represents peak Jeff Goldblum. The Fly and Independence Day are contenders, of course, but we’ll admit a certain partiality to The Lost World, which reintroduces Goldblum’s Ian Malcolm by smash-cutting from dinosaurs attacking a little girl to him yawning on a subway, and never really gets any less ridiculous from there. Then again, Jeff Goldblum really embodied all it is to be Jeff Goldblum with that three-second cameo in Annie Hall. NBA Finals: Game 3: Warriors at Cavaliers (ABC, 9 p.m.): Season-ending injuries to Cleveland’s Kevin Love and Kyrie Irving mean we might honestly be at the point where J.R. Smith—who is the NBA’s most lovable lunatic—is the second best Cavalier player, which would probably preclude any chance of Cleveland beating a historically great Golden State team if not for the fact that the team’s first best player is LeBron James. As it is, the Cavaliers escaped with an overtime victory in Game 2, capitalizing on what surely has to be the worst shooting night of MVP Steph Curry’s career. For Game 3, the question is whether that horrendous shooting was just one of those random fluctuations and the Warriors are about to rain down fire and destruction, or if Cleveland’s defense is fierce enough to keep the Warriors’ shooters out of rhythm and make this a series, even though the Cavs may not even have seven functional NBA players at this point. Either way, this is still very much a series. The Whispers: The second episode of ABC’s big summer event series aired last night, and, uh, it’s not great. Let Emily L. Stephens explain why.